Methods Of Mayhem is the first solo project done by Motley Crue drummer Tommy Lee. Tommy Lee together with rapper TiLo formed the band in 1999 with their first (and so far only) self-titled release same year. The album was a hybrid of rapcore, techno, metal and hip-hop and featured special guests like: Fred Durst (of Limp Bizkit), Kid Rock, Snoop Dogg, Lil' Kim, Mix Master Mike, George Clinton, U-God (of Wu-Tang Clan), Scott Kirkland (of the Crystal Method and Filthee Immigrants Kai Marcus (of Noise Therapy). 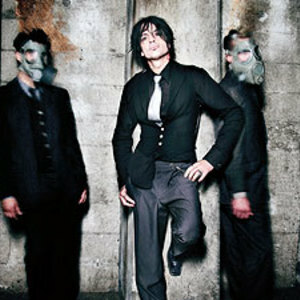 Tommy Lee together with rapper TiLo formed the band in 1999 with their first (and so far only) self-titled release same year. The album was a hybrid of rapcore, techno, metal and hip-hop and featured special guests like: Fred Durst (of Limp Bizkit), Kid Rock, Snoop Dogg, Lil' Kim, Mix Master Mike, George Clinton, U-God (of Wu-Tang Clan), Scott Kirkland (of the Crystal Method and Filthee Immigrants Kai Marcus (of Noise Therapy).